For those with a premium subscription, the biggest news is 60fps streaming. Quality hasn't really been bad, assuming your connection is sufficiently strong, but baseball is a sport played with a pretty small ball that moves really fast. The higher the frame rate, the easier it's going to be to see what is going on, especially on a small screen. 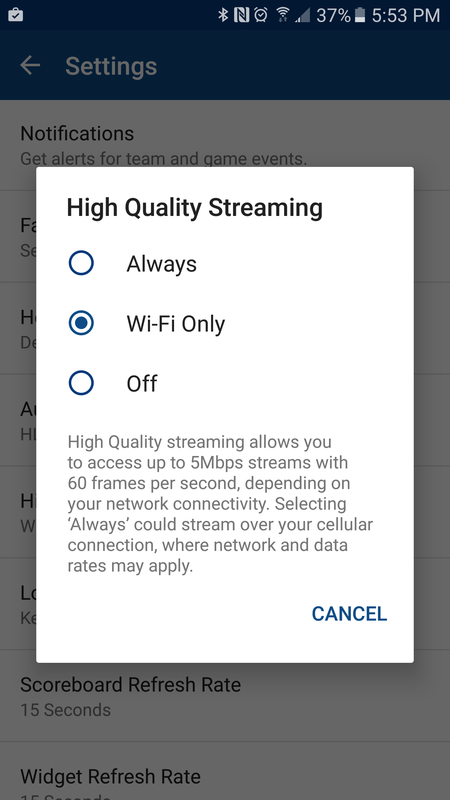 Another, related benefit for premium users is the ability to choose whether the high-quality, 60fps streams will only be used while on WiFi, to save data. It's a simple, but arguably necessary feature since defaulting to such a high frame rate could devastate some users' data plans. Don't worry, those of you who don't want to spend the dough it takes for Premium features. The pitch-by-pitch live gameplay interface, formerly restricted to Premium subscribers, is now available to free users. I think this feature really sets At Bat apart from other apps, so it's a pretty big deal that this is coming out from behind the paywall. 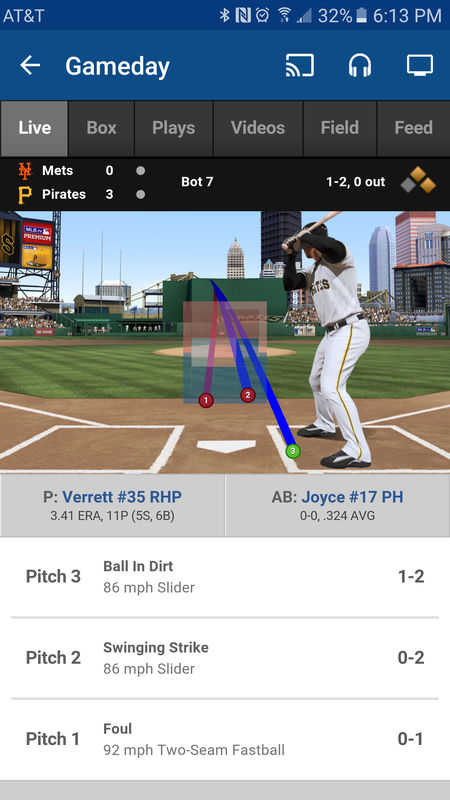 It also means that you get to see the Pitch F/X visualizations to help you identify pitches, their velocity, and whether the umpire was correct in calling balls and strikes as you follow along. You can grab this update via the Play Store.